Short positions below 1242.00 with targets at 1236.00 & 1233.00 in extension. 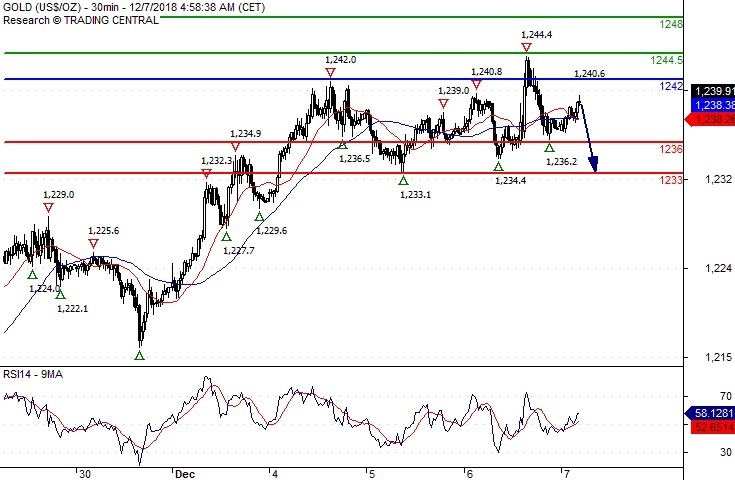 Above 1242.00 look for further upside with 1244.50 & 1248.00 as targets. As Long as 1242.00 is resistance, look for choppy price action with a bearish bias. Short positions below 14.5100 with targets at 14.3800 & 14.3200 in extension. 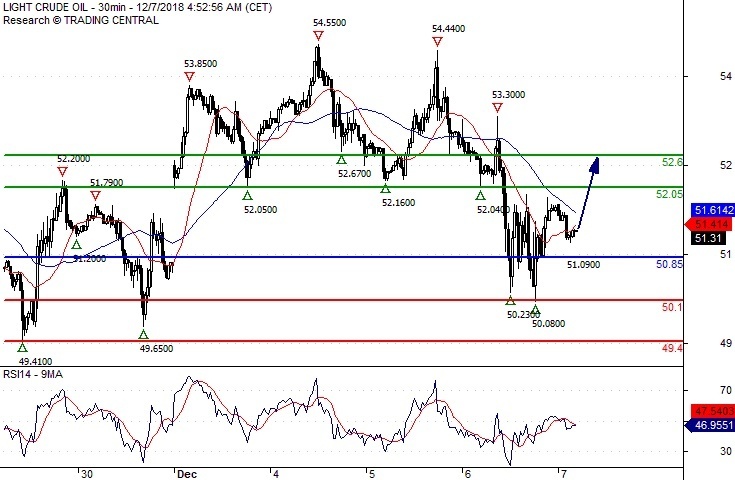 Above 14.5100 look for further upside with 14.5800 & 14.6600 as targets. The RSI is mixed and calls for caution. 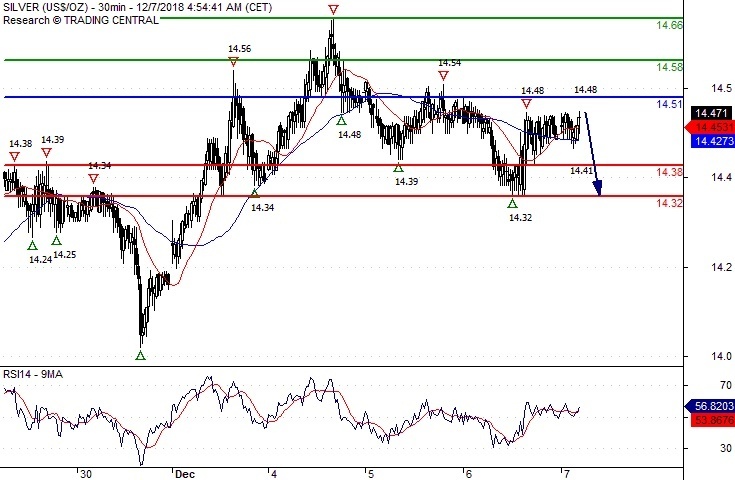 Long positions above 50.85 with targets at 52.05 & 52.60 in extension. Below 50.85 look for further downside with 50.10 & 49.40 as targets. Even though a continuation of the consolidation cannot be ruled out, its extent should be limited.